2 - 13-Pin Roland Guitar Inputs, Guitar "A" and Guitar "B"
Dual Independent Effects Loops, one for Guitar "A" and one for Guitar "B"
Simply put, the GK-20 is a reverse Roland US-20. 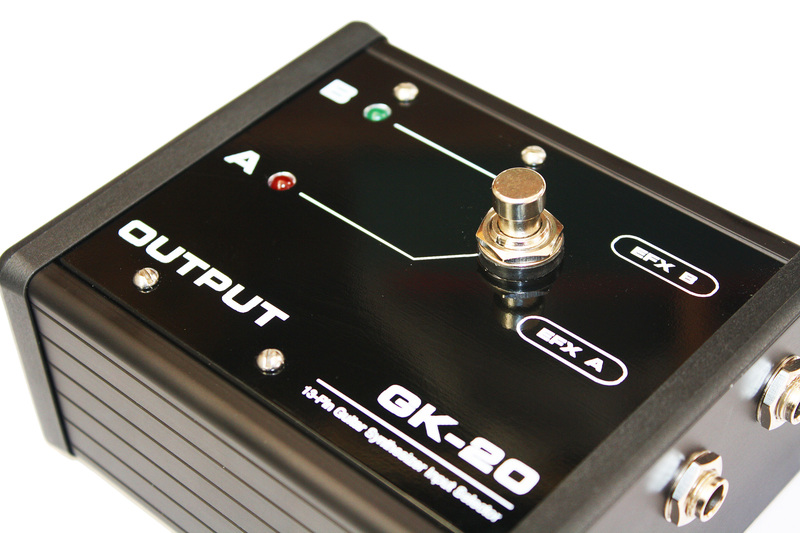 The GK-20 has two Guitar inputs, A and B, and one Synthesizer output. 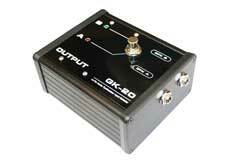 With the GK-20, you can switch instantly between between two 13-pin guitars, playing the same guitar synthesizer. 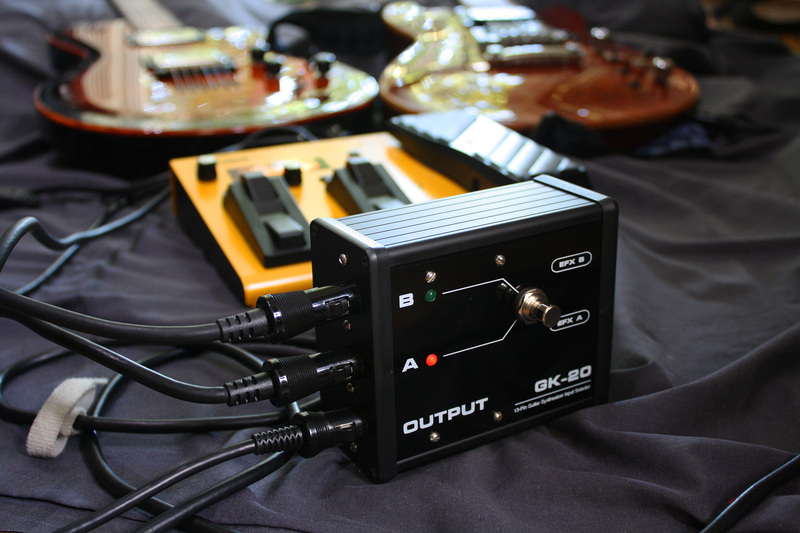 A foot switch selects the either guitar input A or B, with status LEDS to show which input is active. The GK-20 packs it’s analog signal processing power into a surprisingly small 3.8” by 2.5” custom manufactured, dual layer glass epoxy PC board. The all-analog GK-20 has low power consumption, and is powered by the attached guitar synthesizer, so no external power is required. As an analog processor, the GK-20 adds no latency whatsoever to the guitar synthesis. 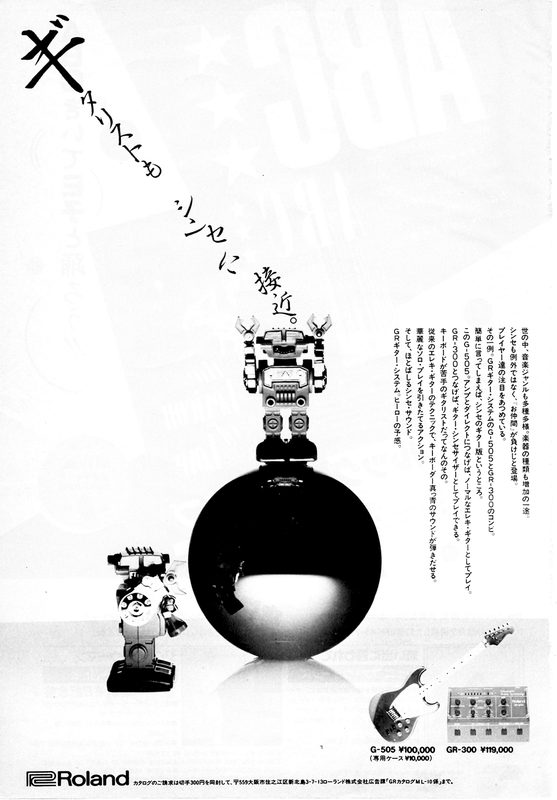 In addition, there are dual effects loops, so that the normal guitar signal from each guitar can be individually processed with outboard effects pedals or signal processors. 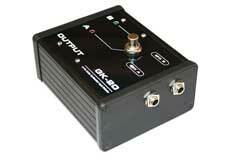 The effects loops are accessed using TRS (tip-ring-sleeve) cables. 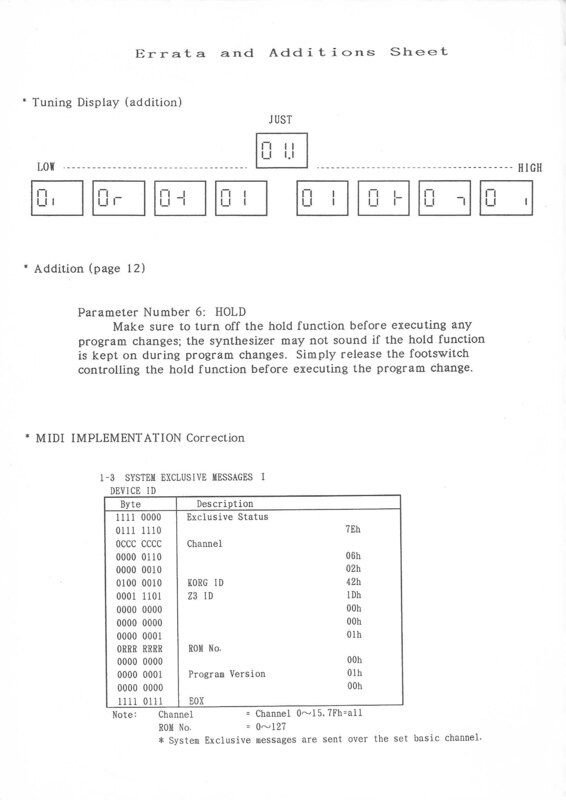 The "tip" is connected to the effect output, and the "ring" is connected to the effect input. 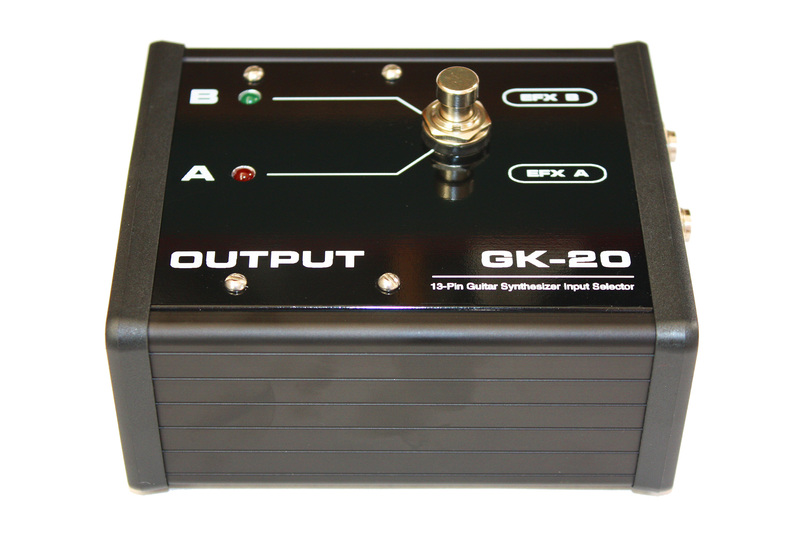 While the Roland US-20 does its job by simply turning on and off GK Volume commands, the GK-20 uses an analog switching network to route divided hex pickup, volume and guitar signals from two guitars. GK S1 and S2 commands from both guitars are active at all times. 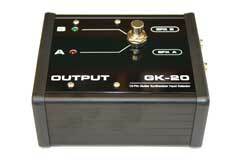 Since divided pickups signals are being actively switched, to make the most seamless transition between guitar controllers, turn the GK Synth Volume control down before switching guitars. 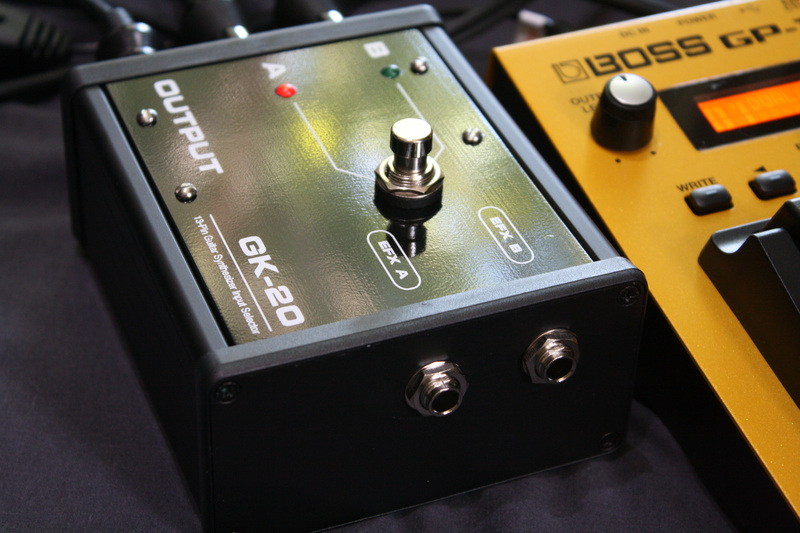 The GK-20 can be used with the UX-20 (or Roland US-20), so that two guitars can play two guitar synthesizers. 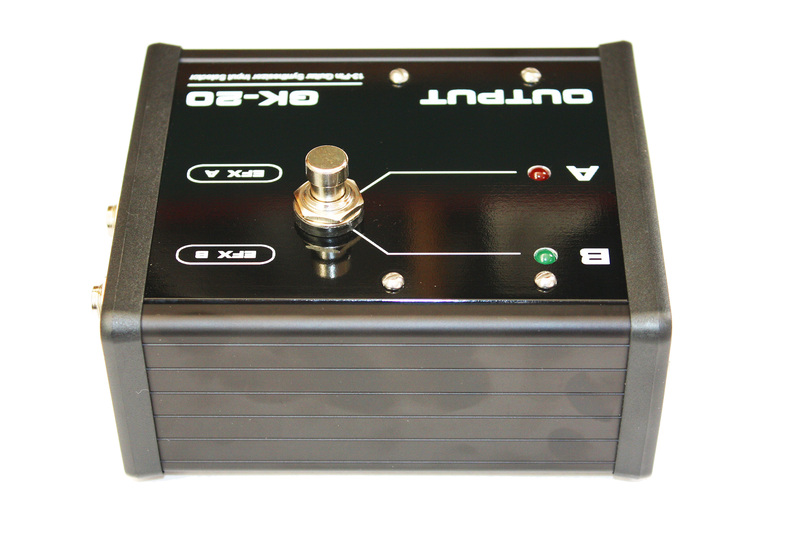 This combination offers unprecedented flexibility and control for a sophisticated multi guitar and multi synthesizer system, expanding the creative musical possibility for the modern guitar synth player. 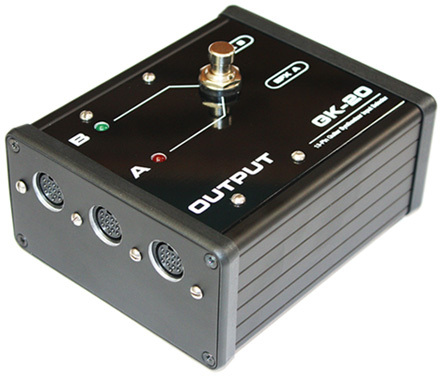 The GK-20 has two Guitar inputs, A and B, and one Synthesizer output. 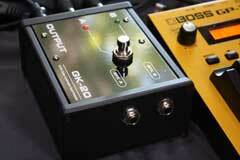 With the GK-20, you can switch instantly between between two 13-pin guitars, playing the same guitar synthesizer. A foot switch selects the either guitar input A or B, with status LEDS to show which input is active. 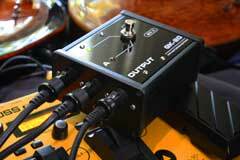 In addition, there is are dual effects loops, so that the normal guitar signal from each guitar can be individually processed with outboard effects pedals or signal processors. 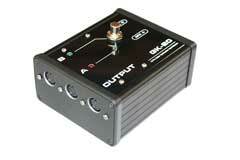 This is a followup video to first first demonstation video on the GK-20, Roland 13-pin Guitar Selector. 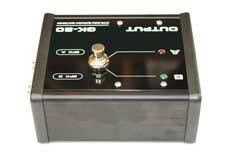 In the original demo, I recommended turning the guitar volume down when switching guitars. I thought this was a sensible suggestion. But then I was asked, do you have to turn the guitar volume down? Then answer is no, and to demonstrate, I use a Fernandes Dragonfly elite, with a sustainer. And the second guitar will be an Ibanez IMG2010 vintage 24-pin guitar, used with the BX-13-MICRO.